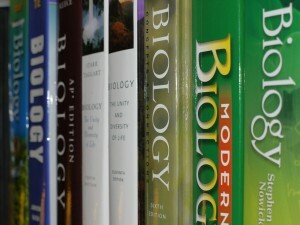 Indiana is one of eight states to charge parents for textbooks. At the beginning of each school year, families in Indiana’s public schools are hit with bills that include activity fees, class fees and the largest line item- textbook fees. Textbook rental fees cost parents on average about $100 per child. Frustrating to most parents is the knowledge that Indiana is one of only eight states that charge for textbooks. That is why state superintendent Glenda Ritz announced earlier this month that she wants to eliminate this financial burden for families. The Indiana Department of Education’s proposed budget for the next two years asks for $70 million more to put toward paying for textbooks for every Indiana student. Jackie Chatterton has five kids in the Noblesville School district, ranging from fifth grade to twelfth grade. That’s on top of other school fees so her kids can be in band and play on the soccer team as well as the $300 she spent on school supplies. And because of these high fees, the Chatterton’s large family has to make sacrifices to pay for everyone’s fees. It should be the duty of the General Assembly to encourage, by all suitable means, moral, intellectual scientific, and agricultural improvement; and provide, by law, for a general and uniform system of Common Schools, wherein tuition shall without charge, and equally open to all. Kent Frandsen, a lawyer in Lebanon who’s represented school districts for more than 30 years, says that one phrase, where tuition shall not be charged, opens up a door to all sorts of fees a school district can charge. “The key issue for our discussion here today is what constitutes tuition or what does tuition cover,” he says. Compared to other state constitutions, such as West Virginia’s, which guarantees a free school system, or Florida’s, which mandates high quality free public schools, Indiana’s Constitution is extremely specific about what the state will pay for in public education. You can’t charge a general fee because that is considered tuition. But you can charge for the child’s books or their participation in extracurricular activities. 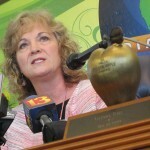 IU McKinney School of Law professor Cynthia Baker says the statutes, rules, and individual school district resolutions concerning how schools are funded have become more complicated since the Constitution was written in 1851, when a public school system was a one room school house with desks and chalkboards. 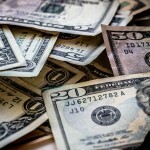 The $70 million question: will a larger budget fix the problem? In her proposed budget, Ritz asked for a 3 percent increase to cover the cost of textbooks for all students. She says the high cost of technology and resources is creating a divide among Indiana’s schools. With the exception of districts in affluent areas, most classrooms are using outdated materials. Right now, the state can only cover a portion of the textbook fees for students who qualify for free and reduced lunch. The 3 percent bump, which shakes out to around $70 million, would completely cover these kids as well as families like the Chatterton’s, who pay out of pocket. As we’ve reported, Senate Appropriations Chair Luke Kenley said the increase Ritz is asking for is larger than any increase they have granted a state agency the last few budget cycles. The General Assembly will vote on Ritz’s budget this coming session. Previous legislatures, dating back to the 90s, have considered eliminating the fee, changing the definition of textbooks to include digital resources and putting a limit on rental fees.